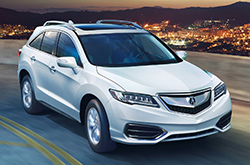 The updated 2016 Acura RDX is the ideal combination of class, efficiency and power. As a premier small crossover, the stylish RDX offers all of the premium features you want in a luxury SUV, while providing every practical aspect you desire in an automobile. Many 2016 Acura RDX reviews praise this vehicle for its ability to operate as a crossover that is "strong yet fuel efficient", a combination that is not often found. Whether you are looking for a sporty ride or a vehicle that will get you to your destination safely, there are no compromises when it comes to the 2016 Acura RDX in Arlington. Sporting a powerful 3.5-liter V-6 engine, a 6-speed automatic transmission and performance braking, there are no limitations when it comes to the adventures you'll have in the 2016 RDX. Remarkably, these adventures don't have to come at the cost of safety. Thanks to a multi-view rear backup camera, hands-free messaging software, a vehicle stability assist system and a suite of optional driver assistance upgrades, the 2016 Acura RDX boasts five star safety ratings to add peace of mind when there is precious cargo on board. Not only is the RDX a safer and stronger choice, but it is also a stylish, modern crossover that lives up to its luxury title. 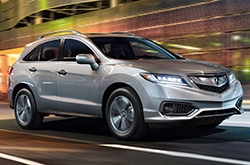 As 2016 Acura RDX reviews note, the small SUV comes with a long list of accessible standard features. Utilizing these features like keyless entry, Bluetooth connectivity, a power tailgate, a superior security system and an audio system with digital integration, drivers will always find a smooth and convenient ride in the RDX. In addition, 2016 Acura RDX buyers have the option of including parking sensors, remote engine start and a navigational system with real time traffic updates to the crossover. Whatever it is that you desire in a luxury crossover, the RDX has the versatility to meet your needs. With a new sleek exterior design that includes Acura's jewel eye LED headlights, an extensive list of standard features and upgrades, fuel efficiency that will reduce fill-ups, and a powertrain that won't diminish life's adventures, the 2016 Acura RDX in Arlington proves that there is no such thing as "too good to be true." 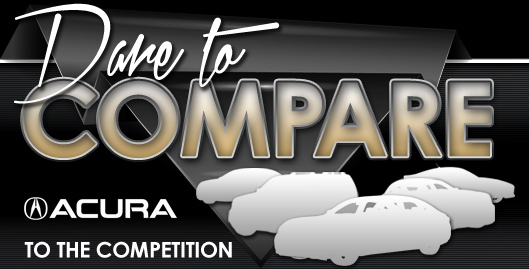 Compare the 2016 Acura RDX side-by-side with vehicles like the 2016 BMW X3, Volvo XC60, Cadillac SRX, Infiniti EX and the Audi Q5, and we're sure you'll learn that the RDX beats out the competition in many areas. With user-friendly onboard technologies and an attractive design, shoppers will love the RDX. When compared to the vehicles in its segment, in terms of price it's clearly a phenomenal value, making it a number-one choice among Acura customers in Arlington. Find even more details; see our quick-facts list for the RDX - bullets under this text. We know your next Acura purchase is important; that's why we've provided the 2016 RDX review above, along with reviews of former models. Our reviews are drafted by skilled automotive writers - it's just another resource we provide as a reputable Arlington area Acura franchise. Filled with usable data and specs, including powertrain options and other info, each section gives you full access to everything Acura's lineup has to offer. 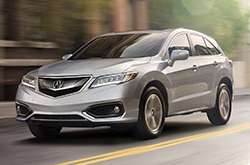 Now that you've gone over Vandergriff Acura's RDX review, please use the contact form to message us to schedule time for a test drive or learn about financing offers and regional OEM deals.